Thank you for your registration to our program. We will confirm your child's registration within 2 business days. If you would like to pay online via Square please click here. Please put your child's name in the order notes. Thanks for registering! 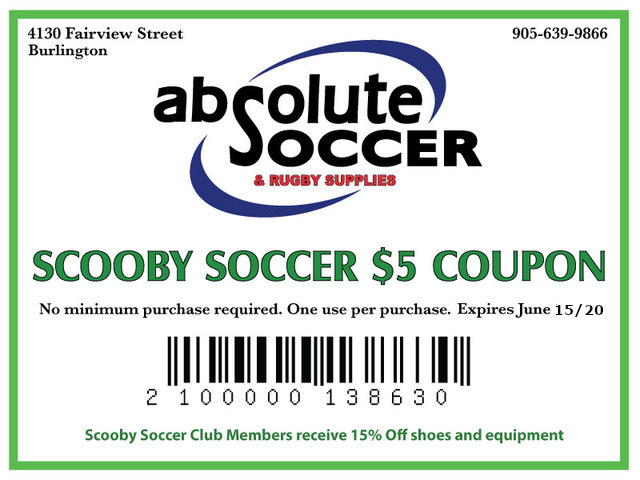 Go check Absolute Soccer and receive $5 off your purchase with the below coupon!